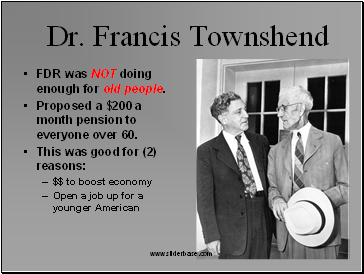 FDR was NOT doing enough for the poor. 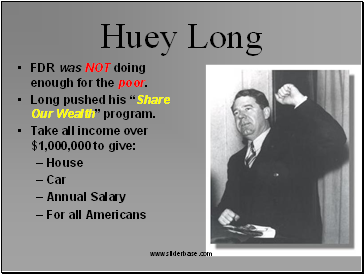 Long pushed his “Share Our Wealth” program. 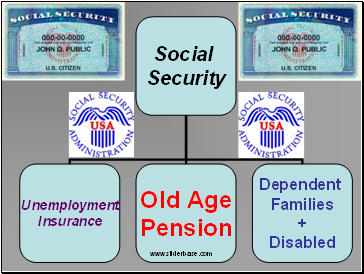 FDR was NOT doing enough for old people. Proposed a $200 a month pension to everyone over 60. 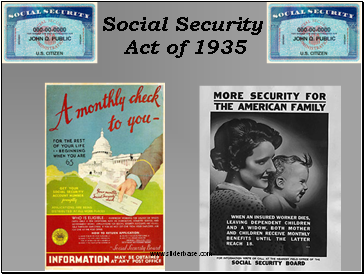 FDR had NOT done enough…. Fr. 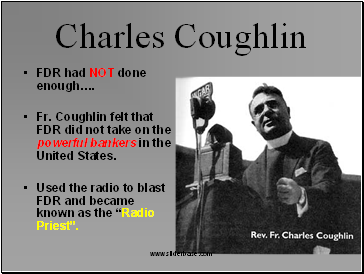 Coughlin felt that FDR did not take on the powerful bankers in the United States. Used the radio to blast FDR and became known as the “Radio Priest”. FDR had gone TO FAR with the New Deal. Interfering with business and people’s lives. 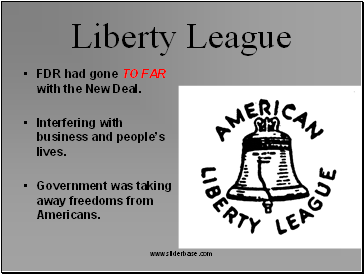 Government was taking away freedoms from Americans. 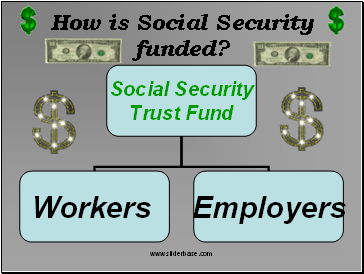 How is Social Security funded?